Theme - Merry Christmas4.5Thank you! Live Wallpaper - Seasons3.4Thank you! 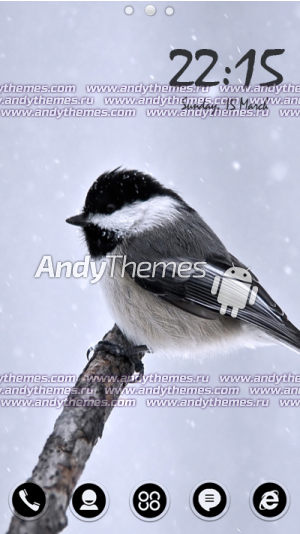 Theme - Titmouse Bird by Naz3.81Thank you! Live Wallpaper - Winter Analog Clock4.33Thank you!